1. Put the bulghur in a bowl, cover with boiling water and leave to soak for 30 minutes. Drain. 2. Put bulghur in a serving dish and pour over lemon juice, olive oil, salt, and pepper. 3. Meanwhile, finely chop the parsley and mint. 4. 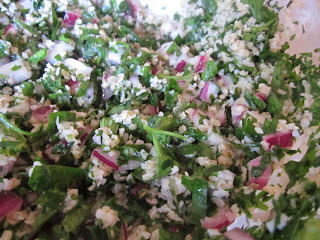 Throw herbs into the dressed bulghur and stir in minced red onions. Toss and add more salt, lemon juice, and/or oil if needed. Good idea about the red onions. That looks great and the red onions were a perfect touch of color! I'm not a huge fan of mint but the recipe does sound good. 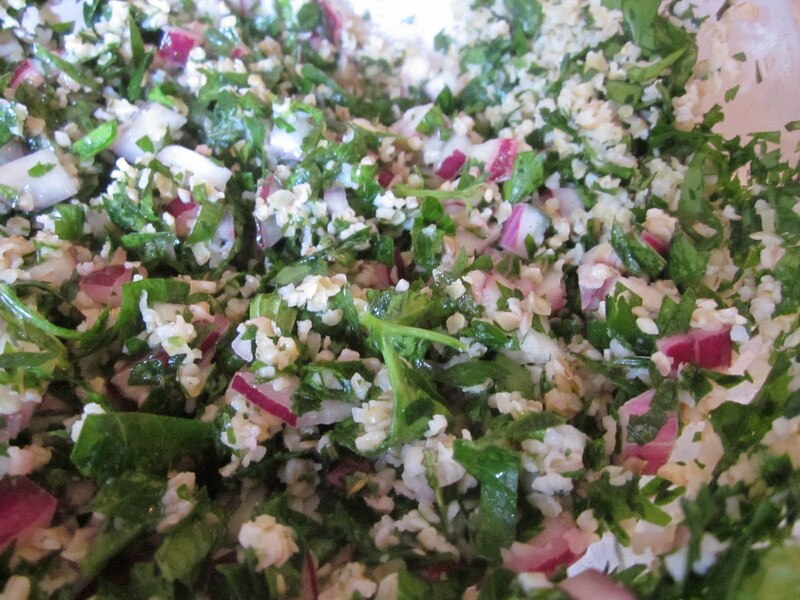 I love traditional tabbouleh but I have a friend who is allergic to tomatoes. I can't wait to make this for her.